There are a lot of musical genres in the world, most musicians have learned one or two aspects of them and have made a mark on the walls of history with their many special talented skills and voices. However, when it comes to rapping, there is evidently no easy way to build one’s musical flow as it mainly requires eloquent symmetrical musical rhythm and perfect breath control. Consequently, only a few groups who ventured into this aspect of musical genres have succeeded in climbing the ladder of success. One of those few are the Migos, a trio group consisting of Takeoff, Quavo, and Offset. Takeoff was born as Kirshnik Khari Ball on the 18th of June 1994, in Lawrenceville, Georgia. He is an American and of African-American ethnicity. He is popularly known as the third and youngest member of the hip-hop trio group, Migos and it is no surprise that Takeoff is amazing at what he does as sources say that he is directly related to Keyate Marshall (Quavo) and Kiari Kendrell Cephus (Offset). As regarding his parents, his father died when he was four, leaving him to the care of his mother who is a stylist. Life was pretty of a mix up for the rapper as he got everything he wanted and was trained to be a man by his mom and cousins (Quavo and Offset) who became part of his home after they were abandoned by their dad. Takeoff as a child nursed the ambition of being a wrestler, little did he know that he would someday storm the world as a rapper. He started rapping when he was in eighth grade as he was influenced by Quavo who had gained expertise in the act and also had released a mixtape while at the high school. Initially, his performances were a spot for mockery during his high school days but as time went by, he became grounded with his amazing lyrical flow and also learned how to control his breath perfectly whilst rapping. Shortly after he became a pro, Takeoff and Quavo convinced Offset to join them leading to the birth of the formation of their first group, Polo Club. Shortly after the birth of Polo Club, the group later decided to rebrand their name and chose the name Migos. Some sources say that their eventual band name, Migos was coined in reference to a drug house while others say that it was coined from the abbreviation of amigos, the reason being that there were famously three. Migos’s first studio album, Yung Rich Nation was released under the independent label Quality Control Music on the 31st of July 2015. The album was a success and topped as the number 17 spot on the Billboard 200. Regardless, before the release of the album, the group were notable for their many tours and their live performances all over the country. Subsequently, the group released another mixtape; Juug Season on August 25, 2011, following the mixtape No Label, on June 1, 2012. Migos had its major breakthrough with the release of their single, Bad and Boujee which peaked as the number one spot on the Billboard Hot 100. The single went ahead to receive lots of critical acclaims and was certified four times platinum by the Recording Industry Association of America (RIAA). Unfortunately, none of the credits earned by the album would be assigned to Takeoff as he was not featured in the song as a result of his busy schedules that period. Later on, Takeoff, Quavo, and Offset (Migos) released their second studio album, Culture which also maintained the number one spot on the US Billboard 200. The album later went on to receive a platinum certification by RIAA sometime in July 2017. On the 26th of January 2018, the group second album was rebranded and released as Culture II. Like the others, Culture II was also a glam! 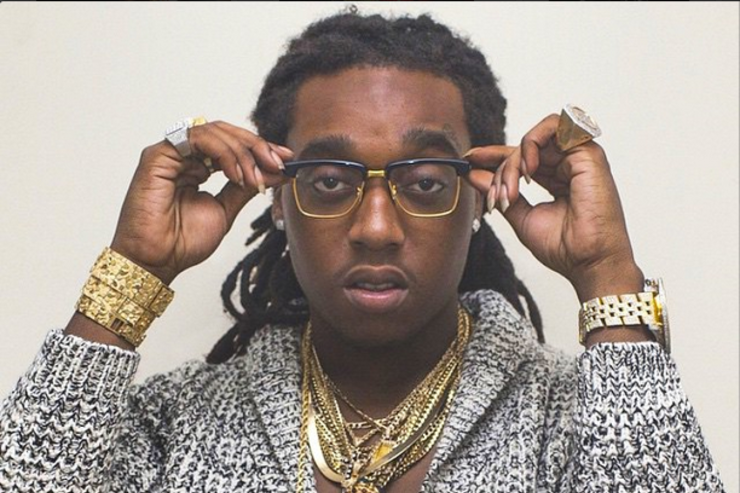 Being a member of a group that had attained a lot of successes since it’s creation, Takeoff has evidently made a lot of fortune from his many musical gigs. The group, Migos is said to have a total net worth of $4.2 million and on Takeoff’s part, his financial value falls at $2 million. It is quite surprising that the rapper has not been seen or linked with any girl both in the present and in past. However, we wouldn’t be totally wrong to say that he has decided to keep this aspect of his life under lock and key. Takeoff is the youngest member of the Migos group and shares the same height, 5 feet 9 inches, with his cousin, Offset. Quavo on his part is just one inch taller than the duo.